1. shower head. i consider this one essential. most apartments come with an old shower head that doesn’t flow well. 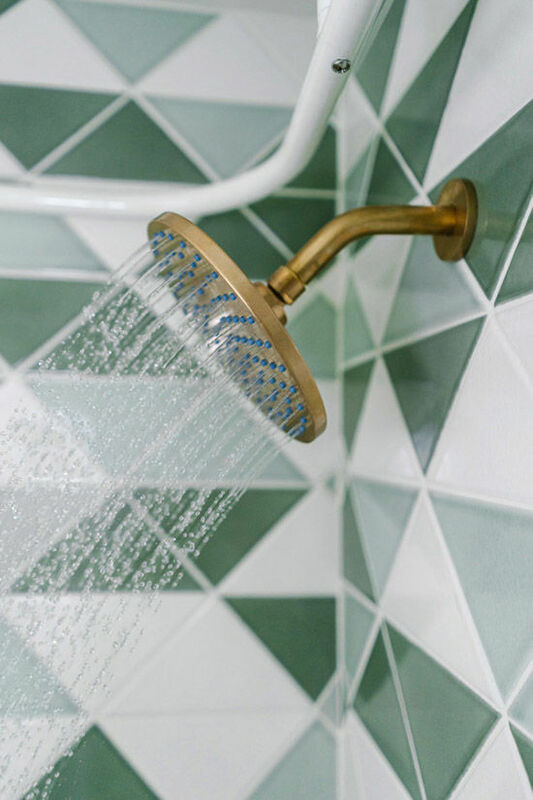 you shower daily, so why not invest in a good shower head? you can get a good one starting at $25 and it takes a few minutes to swap out your shower head for one that makes you look forward to showering. 2. light fixtures. lighting is key. 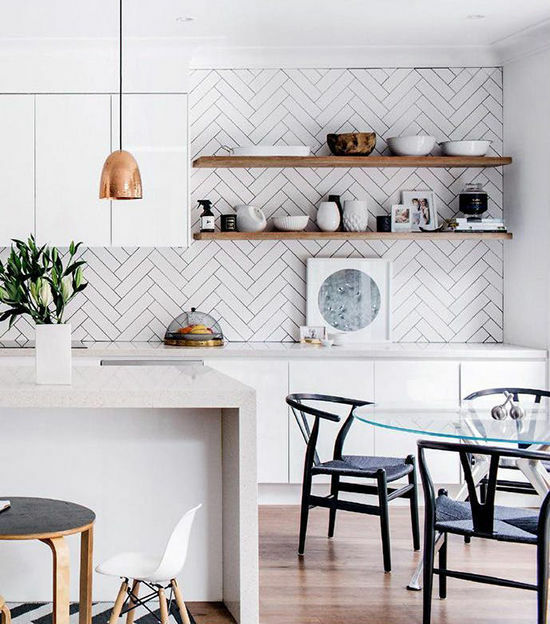 switch out your light fixtures for something unique to make a statement and bring the space together. see more light fixtures here. 3. handles and knobs. hardware can make a big difference in a subtle way. things like knobs and cabinet handles can be switched out quickly with a few screws. 4. install shelves. if storage is limited, adding a few shelves to your space can add space. see more shelf ideas here. 5. toilet seat: kind of a give-in, but they’re super simple to swap out and only cost about $20-$50 to change. 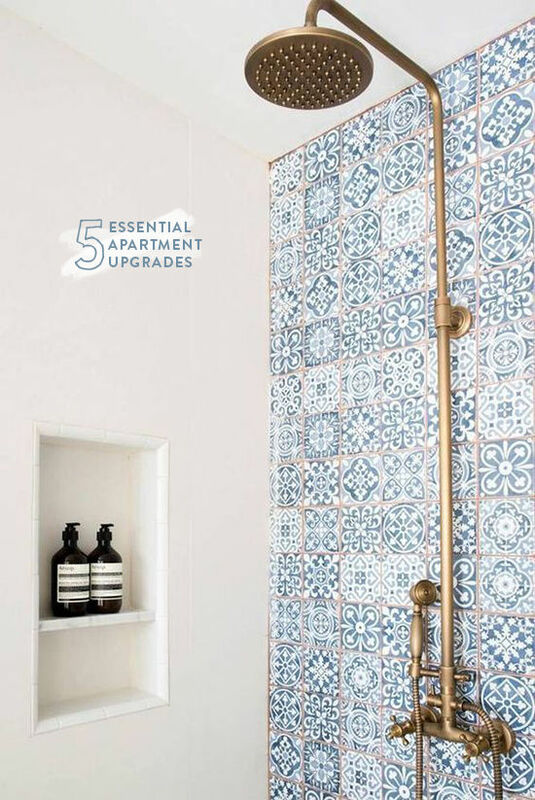 what are things you upgrade in apartments? let us know in the comments! 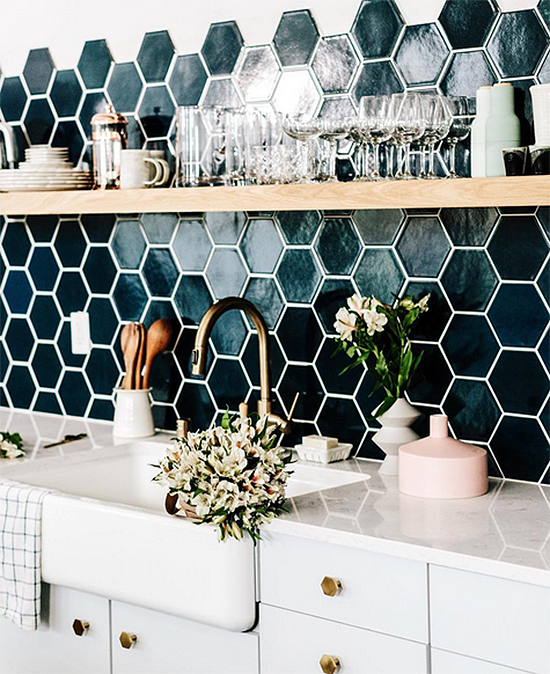 I love the hexagon tile. Thanks for these tips! Those upgrades are going to make me not want to leave the apartment at all! Thanks for sharing! Although I don’t live in an apartment any longer, these would have been very useful when I did! One thing that helped me were ready-made curtains. Pottery Barn ones are quite hefty, especially those with the black out, and do well in a pinch. And they’re easy to move to your next place! I think I’ve done every single one of these–except for the shower head, because mine isn’t that bad. If anyone is thinking about trying any of this, go. for. the lighting. It is a total game changer!! Also, painting the walls has helped tremendously! My favorite upgrade is a new shower head! Especially because when I move out, I take it with me. My husband even went as far as to buy 2 different shower heads and he created a Frankenstein-type head that we’ve taken to 3 different apartments! How can I update flooring in the bathroom?? Is there a tile that is stick on? It is amazing how such simple changes can make a space feel like yours. 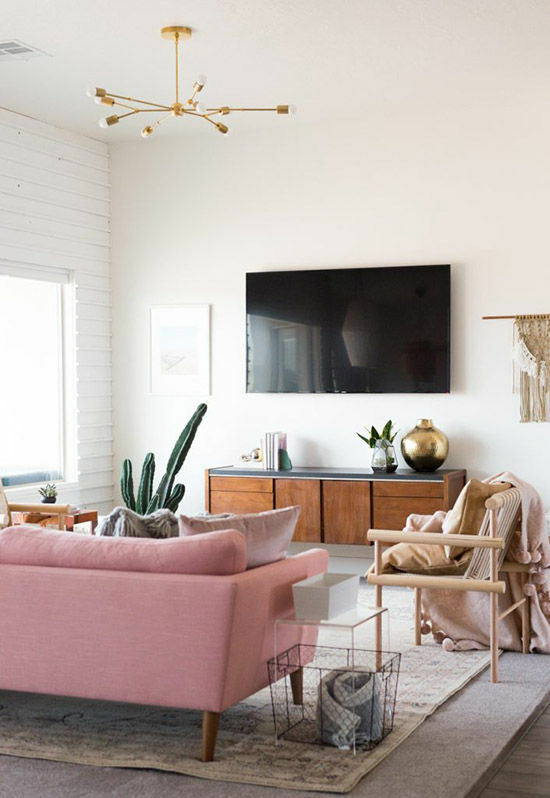 Home decor is a great way to accomplish this, but if you don’t like the foundation home decor can only do so much. Thanks for sharing. 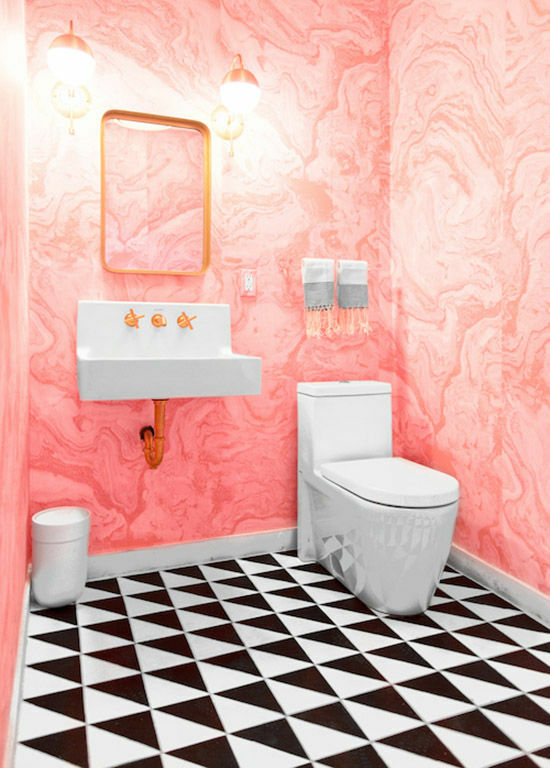 Love the tiles especially. Reminds me of the middle east / north Africa. Makes me want to go find more things from there. 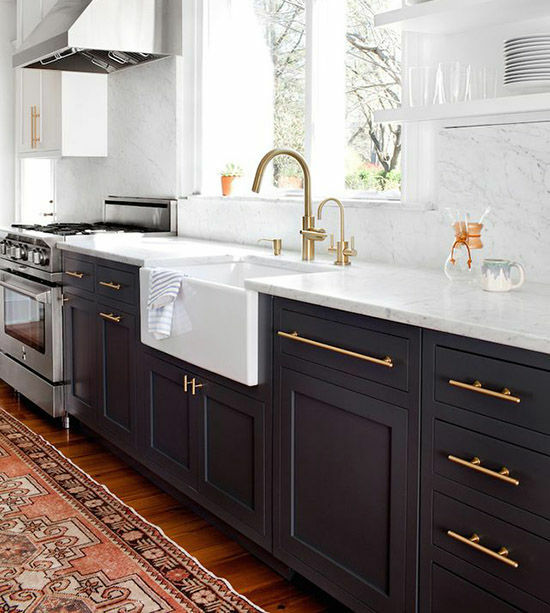 There are many things that can annoys you and above are few of them which are need to be upgraded as soon as possible and other thing that’s also need to be upgraded is the color of the room which may change the mood of house. Good cheerful environment helps you to enjoy you weekends at home. Thanks for sharing the tips.